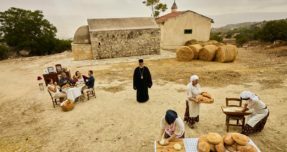 The programme of the European Capital of Culture Pafos2017 comes to its end with an important theatrical production which holds great significance for Pafos. In its world premiere, the Theatre Workshop of the University of Cyprus will present a theatrical adaptation of the magnificent work “Pagkosmion Asma” of the poet, intellectual and former Mayor of Pafos, Christodoulos Galatopoulos (1902-1953). It is a poetic reinterpretation of the myth of Prometheus, which is composed and based on the works of Dante and Milton, extending to all the corners of the Earth: from the ancient Hellenistic world to the mythology of Peru and the Incas, from Japan to the native Americans and the Scandinavian myths. 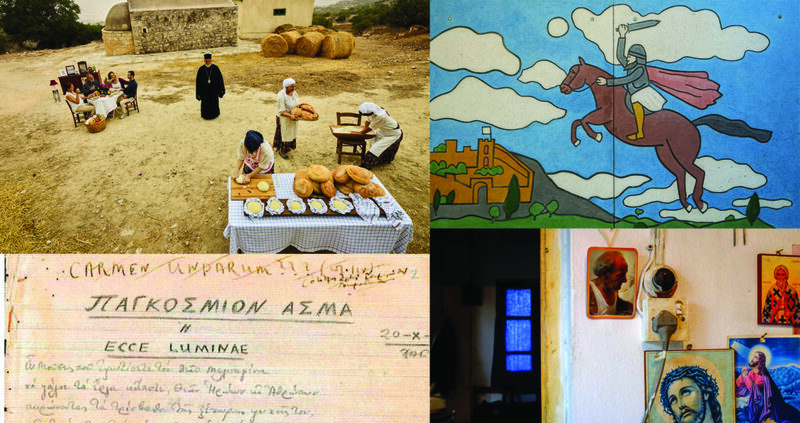 This transforming, truly poetic work constitutes a modern tragedy with allegoric references to the political situation of Cyprus during the colonial period, while contributing a very important new text to Cypriot and modern Greek theatre, with a quality equal to that of the works of Aggelos Sikelianos and Nikos Kazantzakis which have enriched modern Greek literature. With the participation of 25 actors of the Theatre Workshop of the University of Cyprus in the main roles and the Chorus. Pafos acquires more reference points in the city centre with an added value in regards to visual arts. 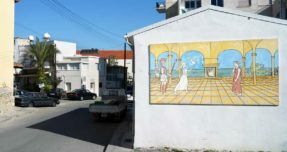 A series of cementographies, created by established and upcoming artists in Pafos will be permanently exhibited in main streets in the city centre, creating thus an interesting visual stroll with references to an art form which carries a Cypriot identity of international artistic appeal. The project includes works by Costas Economou, Nicolas Iordanou, Sylvia Nicolaides, Yiannis Sakellis, Alexander Gautier and Gabrielle Cornuault with the participation of Charalambos Margaritis, Marianna Constanti, Aristotelis Demetriou, Miriam McConnon and Chiaki Kamikawa. The multi-dimensional meaning of the concept Home is the predominant theme of this project. 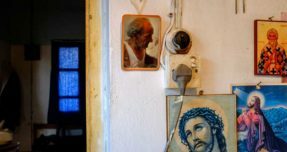 Two educators and 12 photographers from Cyprus, Greece, Romania, Sweden and the USA stayed together for 6 days in Drousia, where the creative process of interaction resulting in a synthesis of their ideas, experiences and temperaments, laid the foundation for this artistic production. The artists present their own unique approach and interpretation through the exhibition and the relevant publication. The exhibition is curated by Cheryl Newman and the project is coordinated by Thanos Savvides.